Recon has a story behind her coming to Outrun Canines. Her mother, Jinx, is the littermate to Mandy, our Border Collie that set the standard on what a Border Collie should be here at Outrun. I was planning one last breeding with Mandy, when she passed. I was hoping to keep a pup sired by an awesome boy in VA. Never came to be, so I was left with only two of Mandy's "pups" that were intact. All others had be placed in performance homes, and were altered, limiting my options for a breeding program. I contacted Deanne when I saw Jinx had a litter. I gave her my bleeding heart story, and soon Recon was here in Ohio. I had also fallen in love with her blue littermate sister, and soon she was in Ohio as well. 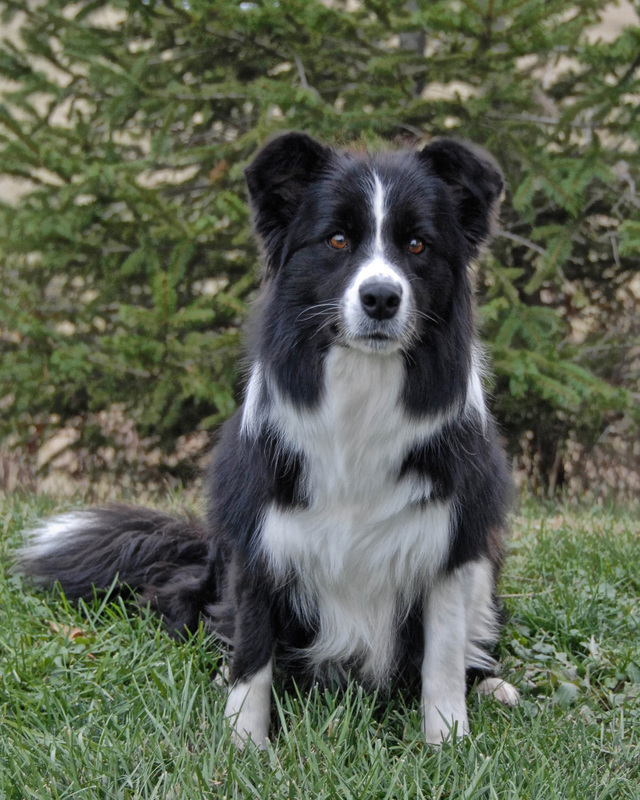 Both girls have agility training, obedience training, and are working in herding. Recon won a AKC major and two points after the major in June 2012, she earned CGC in Aug. 2012, and finished her UKC championship Sept. 2012 . 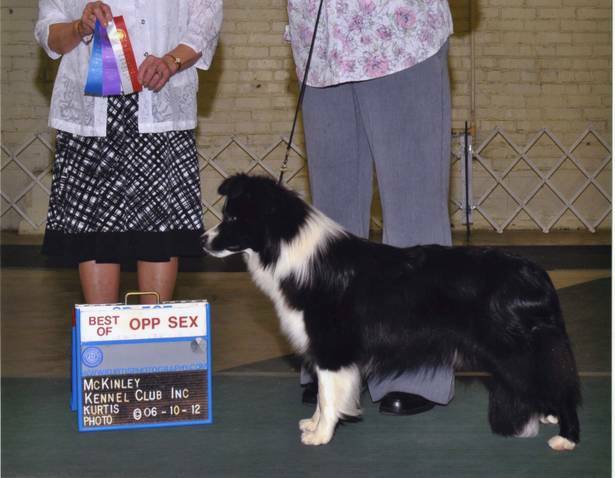 On Sept. 2013, she finished her UKC Grand Championship. She earned a reserve to a major and points late 2013. She'll continue to show after her hair returns from the spring litter of puppies. Recon has been retired. At this point, we have several of her pups in co owned homes living the dream life that every Border Collie should have. They have earned awards in rally, agility, conformation, but mostly are prized champions of the heart.